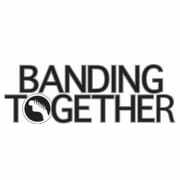 Banding Together’s mission is to bring music opportunities to individuals with special needs in our community. This is accomplished through key objectives that include providing: music therapy scholarships, free Jam Session programs, mentorships, and instruments. Since 2009 we have awarded $92,486 for individual music therapy 170 individuals with special needs ranging. The Jam Session program, launched in 2012, has more than tripled in size in the San Diego area and it has been piloted in Miami, Florida. In the San Diego area our outreach has increased from serving 10 individuals to 180 per year. We currently hold 56 Jam Sessions per school year (in 4 locations) and have held over 186 to date. This program has served nearly 500 individuals ages 13-40 with special needs since we started. Additionally, over 300 volunteer mentors have been trained. A significant highlight for the Jam Session program was that in 2016, in collaboration with community partner Surfdog Records, Grammy Award winning musician Jason Mraz came as a guest musician for one of our Jam Sessions. Another highlight has been eight SoundCheck Jams that have been hosted in partnership with Surfdog Records, serving approximately 24 touring musicians and 50 individuals with special needs. This unique program gives individuals with special needs the opportunity to shine onstage during a nationally touring band’s sound check at a local music venue. Past participants have included Dan Hicks & The Hot Licks, The English Beat, Elvin Bishop, Michael Franti, Shaun White (Olympic gold medalist and guitarist) and Grammy award winner Ziggy Marley. More than 150 professional musicians have participated in our programs and fundraisers. Would you recommend BANDING TOGETHER?